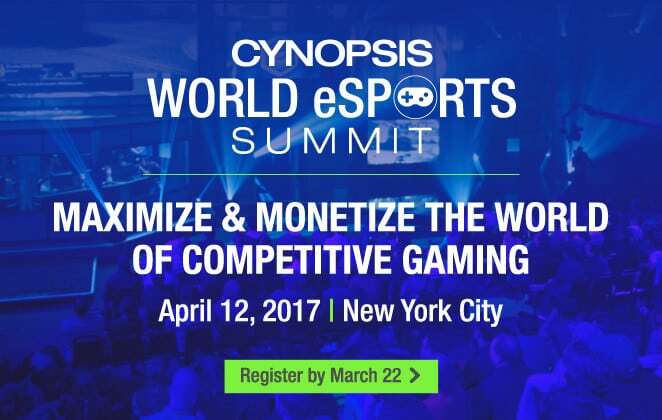 Join Cynopsis Sports and other major executives in the sports industry on Wednesday, April 12 in New York City for the 2nd Annual Cynopsis World eSports Conference. eSports & gaming is taking center stage as significant communities of Millennials convene to interact, engage and compete in global tournaments, which now offer paydays that can reach seven figures. This sector of the market is now projected to top 335 million fans worldwide with revenues exceeding the $1 billion revenue mark by 2017. That’s why the smart marketers, brands & agencies who need to understand and leverage this market will want to come and learn at our immersive, info-packed conference. Hear first-hand experiences and recommendations from brands, agencies, networks, leagues and more! Make sure you don’t miss the opportunity to take your seat in this thriving part of the entertainment industry.